EghtesadOnline: The Iranian Foreign Ministry has vehemently dismissed Bahrain’s baseless accusations of links between Tehran and a number of suspects in a 2017 bombing targeting an oil pipeline in the Persian Gulf sheikhdom. 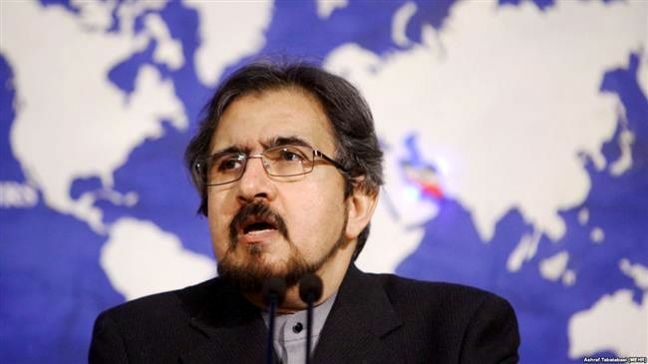 In a Thursday statement, the ministry’s spokesman, Bahram Qassemi, said the Manama regime’s fresh accusations are “fabricated and baseless,” calling on the Bahraini rulers to stop the “awkward and delusional blame game” against Iranian institutions. “Instead of making repeated allegations and out-dated scenarios, the Bahraini officials had better abandon [their] security-policing approach in suppressing the legitimate demands of the people and put an end to the crisis in the country through serious dialog with their people,” he said. On Wednesday, according to PressTV, Bahrain’s Interior Ministry said the country has arrested four Bahraini men suspected of bombing a Saudi Aramco oil pipeline outside the capital, Manama, on November 10 last year, accusing Iran of training and arming two of the suspects. The statement noted that three other individuals belonging to the team are still at large. It said all the seven belong to the “February 14 Coalition” — an opposition protest movement named after the date of the beginning of a popular uprising against Bahrain’s ruling Al Khalifah regime in 2011. Since February 14, 2011, thousands of anti-regime protesters have held demonstrations in Bahrain on an almost daily basis, demanding that the Al Khalifah dynasty relinquish power and allow a just system representing all Bahrainis to be established. The regime in Manama has in recent weeks stepped up its suppression campaign against dissidents as Bahrainis are making preparations to mark the anniversary of their uprising.